In the Southern Ocean the suborder Notothenioidei is dominant. Most notothenioids are benthic and sedentary; we have studied haemoglobin structure/function in search of correlations with mode of life and evolution. In the Antarctic shelf Pleuragramma antarctica (0–900 m) is dominant in abundance and biomass. It has circum-Antarctic distribution, and is the only fully pelagic notothenioid. Being the best example of notothenioid adaptation to pelagic habitats, P. antarctica calls for studies on adaptive strategies. In notothenioids, evolution has developed blood adaptations, such as reduction of erythrocyte number and haemoglobin concentration/multiplicity, reaching the extreme of eliminating haemoglobin in Channichthyidae. Species of the red-blooded families generally only have one haemoglobin (95–99% of the total). In contrast, P. antarctica has three major haemoglobins. As this species performs seasonal migrations through water masses that may have different and fluctuating temperatures, during evolution it developed adaptations suitable to allow optimal energy savings during the oxygenation-deoxygenation cycle, producing haemoglobins displaying wide differences in thermodynamic behaviour. The expression of multiple genes, typical of juveniles, remains high also in the adult stage. This oxygen-transport system is remarkably unique and appears designed to fit an unusual mode of life through refined adaptation strategies. In the phylogenetic trees, the αa chain of P. antarctica haemoglobins falls into the clade of major Antarctic haemoglobins; the same applies to the βa chains. The αb chain is in a basal position with respect to the clade of Antarctic minor Hbs; the same applies to the βb chain. All this appears congruent with the phylogenetic evidence. Population dynamics and ecophysiological adaptations of P. antarctica are worth investigating to identify strategies of resilience to current climate changes. 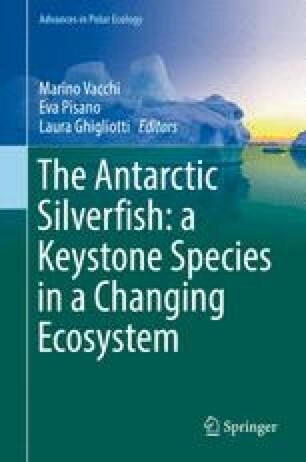 This study has been supported by the Italian National Programme for Antarctic Research (PNRA). The project falls within the framework of the SCAR programme “Antarctic Thresholds - Ecosystem Resilience and Adaptation” (AnT-ERA). This chapter is dedicated to the memory of John A Macdonald.